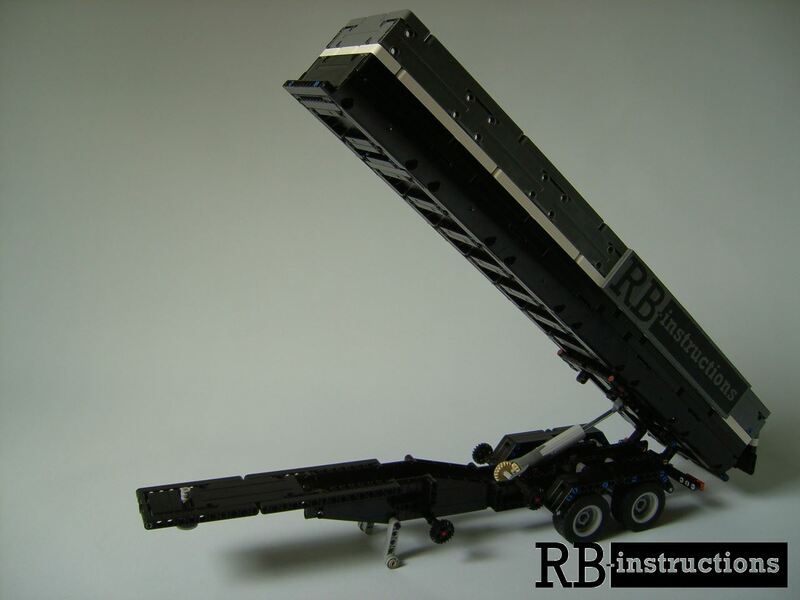 You are purchasing a PDF instruction for a Tipping Trailer. The tipper trailer built for the Lego® 42078 Mack Anthem and the C-model Daycab. The supports can be set up manually. The cargo bed is tilted manually with a Linear Actuator and the tailgate is locked. He is 55cm long and 15cm high, with unfolded cargo area he has a height of 44cm.